The school year is almost over, and it’s time to start thinking about what you will be doing this summer! 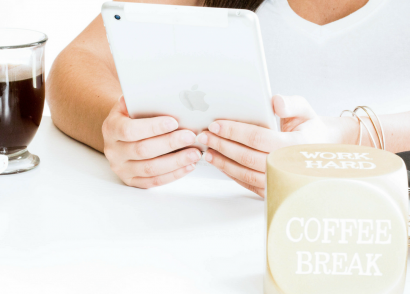 Set yourself up for success this year and start going after a side hustle! When I was in college, I ran this blog as my side hustle, and I loved every minute of it. 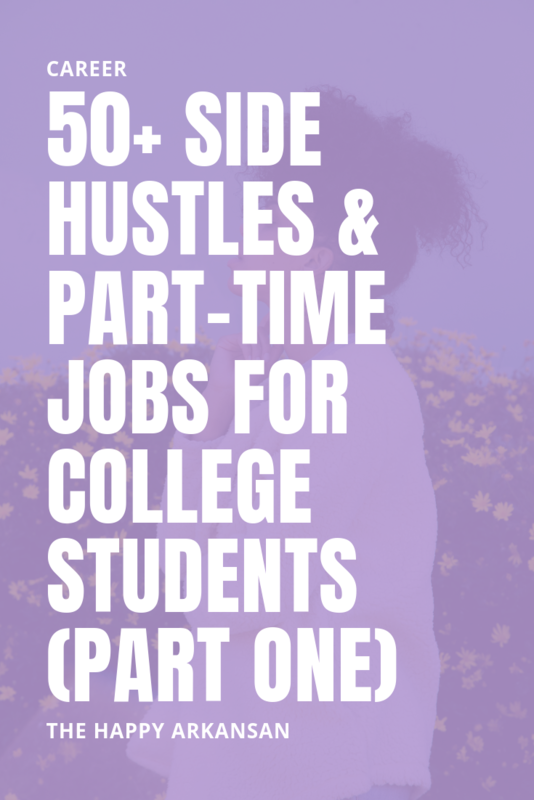 Here is the first part of 50 different side hustles you can work towards while getting your education! You’re smart, and there are a lot of people who could use your help. If you are great at STEM subjects or writing, you could be a great tutor. Find area students who need help in subjects of all difficulty and see if you can use your talents to help them succeed. You may want to target parents when selling your services because likely they will be the one paying for a tutor for their children. Look in newspapers and on sites like Craigslist for people who need tutors. Freelance writing is amazing! You can make serious money if you know how to put some sentences together. Start small by using sites like Upwork (where I still get my clients). Once you are ready, you can branch out and create a website. You can pitch companies and entrepreneurs who need an online presence in the form of a blog, or you can work on more significant writing projects like ebooks, white papers, product descriptions, and website copy. The possibilities are endless with the types of projects you can tackle as a freelance writer. Starting my blog was the best decision I have ever made. I don’t know what I would do without this space to connect with young adults across the country. You can’t start a blog as a cash grab because likely the money won’t come right away. It’s a fulfilling activity to begin during the summer, though, because you can take a while to pour into it. Hopefully by the time school starts back you can keep it consistent and continue to grow it throughout the year! This is another project that you can’t just start, thinking it will be a cash grab! Online video is still growing though. The summer is the perfect opportunity to get everything up and running so you can continue to film videos during the school year. Consistency is critical when building a YouTube or Twitch channel. Find a schedule you can stick to, show up, and PROMOTE your content. You can say the same about creating a blog. Transcription is not for the weak, y’all. I remember having to transcribe an interview for a class in graduate school, and it was my least favorite thing in the world. On the other hand, if you have the patience to transcribe, it can be an excellent source or revenue. 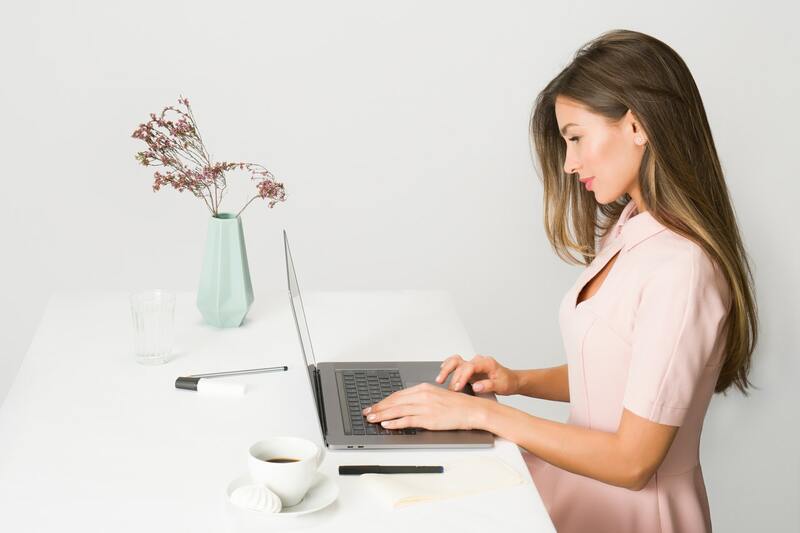 It can be monotonous work, but if you are great at transcribing, there are a lot of professionals who will adore you and pay you for your work. No one wants to do the job, so if you like doing it, professionals will love that you like it. Can you get the party started with the flick of your wrist across a turntable? Well, you would probably make a great DJ for all the upcoming summer barbecues and block parties. Take your show on the road and start DJing parties, weddings, and anything you can get your hands on. Do you know all the latest social media news? Can you relate to your generation, bring in customers, and get some attention for a company? Many companies don’t take social media seriously enough, even though it could change their business for the better. Consider finding a job as a social media assistant so you can help take a few entrepreneurs to the next level in their business. Do you remember the person behind the desk while you were taking the ACT or SAT? Those people are test proctors and they get paid to sit there, watch you, and make sure that you aren’t cheating. Consider becoming a test proctor if you don’t mind wasting a few hours making sure students are fair as they are taking necessary tests. It’s about to be summertime, and people will want to feel the wind in their hair as they drive their cars down the highway. If you know how to give a car a good wash, consider working for other people in your surrounding area who want a good carwash without doing it themselves. You would be surprised how many people would willingly pay you some money, so they don’t have to be out in the heat washing their car! Another way to work with entrepreneurs this summer is by becoming a virtual or personal assistant. You can make some great money by helping someone run their business smoothly. Plus if you are an entrepreneur in training, you will get some awesome work experience seeing how someone else creates a successful business. Dogs are the best animals, aren’t they? You can tell I love them because I mention dogs in my bio :). I am sure that you have seen those advertisements for Wag! and you can do something similar, especially if you live in a big city! Consider walking dogs for some extra money or becoming a pet sitter. Caring for someone else’s dog would be a great way to get some puppy cuddles all while making some extra income. What’s better than that? Resume writing is a skill that not everyone has. If you have written excellent resumes in the past, you may want to consider learning more about the craft and helping other students by putting that information to use. A great resume can help you land jobs, internships, and so much more. So, if your resumes are fire, why would you keep that to yourself? Another monotonous job that could lead to some serious side hustle cash is data entry. Companies have a ton of data that needs to be entered and processed by their company. Often they will hire students to find and create data sets or move data from one location to the next. Transcription can be a type of data entry, but I wanted to separate them because transcription can require a bit more brainpower sometimes. Do you live in a city with a lot of events? People want to get butts in seats, and often they will come to event promoters to make sure that happens. If you have an outgoing personality, promoting events may be the exact thing you need to do! New apps are coming out on the market every day, and many of these apps need testing. Testing apps is a great potential job choice. Sites like Tester Work allow you to work with some pretty cool companies and get paid when you report bugs and go through tests. It’s a great way to earn some cash from your smartphone. If you like dealing with money, picking up work as a bank teller could be a potentially great job for you. Bank telling is an especially great job if you are getting a degree in finance or accounting. This will give you a headstart on dealing with money and some experience in your field. Restaurant servers may not be initially paid well, but with the help of tips, you can make some pretty great money daily. You may work some long hours, but restaurants are usually helpful about working around your schedule as a student if you went to college while being a server. For those reasons, restaurants can be an excellent way to get money as a college student. Do you know a few languages other than English? Well, work as a translator to translate text or translate for people. This a handy skill in many jobs today, especially if you can understand languages like Spanish and Standard/Mandarin Chinese. Getting some experience as a translator will also look amazing on your resume later on if you get a job that requires you to be bilingual. Are you already a night owl who doesn’t back down when you hear a scary noise? Well, you might be the perfect person to become a security guard. Security guards help protect essential buildings overnight, and usually, they have a lot of downtime. So, if you want to make some money this summer while working at a typically lowkey job, work security. I have used Swagbucks and Ibotta personally. I have never gotten into Ebates though, but I have heard great things about that site as well. Working out by yourself can be painfully hard. If you have a great personal trainer to whip you into shape, it can feel rough, but worth it. If you are great at motivating people to become better versions of themselves as well as exercise at the gym, becoming a personal trainer may be your calling. Help get other people in the best shape of their lives. Chances are, you have a ton of old clothes sitting in your closet that you never wear. Instead of letting those clothes collect dust, gather them up and sell them on a site like Poshmark. This can add up fast and give you a lot of spending money for the summer. Alternatively, once you run out of clothes to sell from your closet, you can head to thrift stores to find pieces to resell online or in yard sales. If you can go to a thrift store on a cheap day, you can then turn around and sell those items for more profit online. You never know what you might find in a thrift store, so look around to see what items they have that you could resell online. Are you a great website designer/coder? Put your skills to the test and help small businesses and entrepreneurs create a web presence for themselves. Create packages and sell different types of websites. Once you get down your designing flow, you can likely finish websites quicker every time you create a new one. While the first few websites will be rough, after time, you will begin to design them quickly. If designing websites one at a time seems daunting, consider coding a few different websites and selling them as themes. This is a great way to make income daily for just a bit of upfront work to create cute themes. You can sell these themes on sites like Etsy, Creative Market, or your very own website. Do you like talking and explaining things to people? Well, becoming a tour guide might be the perfect job for you! Curating an excellent tour experience is such a skill, people will know when a tour experience was great. See if your town has a tour company that you can join. There are usually many different touring options in big towns such as bus tours and walking tours. The possibilities are endless, and at the very least, it could be a great way to lose some weight over the summer and explore your town. That’s A Wrap On Part One! I hope that you all got some great ideas for side hustles. This is a wrap for part one. Join me on Wednesday as we delve into some more side hustle options for you! I cannot wait to continue this conversation, so you have some more things to consider for the summer.